Good STATUE Collection! When you receive your order. If you are satisfied. The price Listed is just for increase a pleasure. We will try to solve your! But we will try to reply to you ASAP within 24 hours! 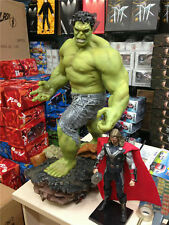 Good STATUE Collection! i will send new invioce to you. 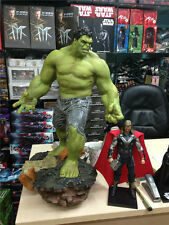 23" 1/4 Scale Super Size MARVEL THE HULK GREEN GIANT. I believe you will fall in love with this fashion dress. we will list more fashion and hot clothing,you can save us. Good STATUE Collection. We will try our best to reduce the risk of the custom duties. Good STATUE Collection. Condition:New in Box Unopened. Economical(SAL).